1 What Is Green Malay Kratom? 2 Who is Green Malay For? 3 Should You Take Green Malay? 3.2 How much Green Malay Kratom to Take? What Is Green Malay Kratom? Green malay is another beauty from the kratom family mitragyna speciosa. You can find this strain in the forest near the Malaysian countryside, where it has been used for centuries as a natural medicine. They call it “ketum” and used it to treat insomnia, fever, diarrhea, aches and common pains. 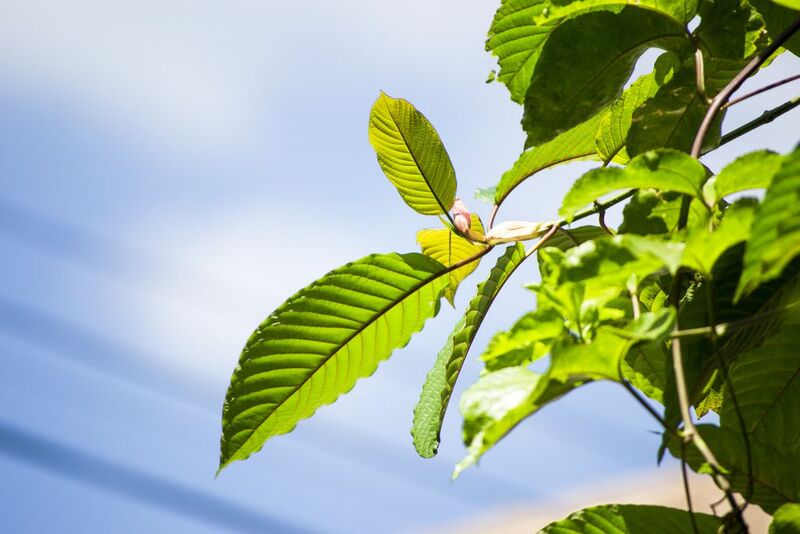 The tropical climate plus the mineral-rich soil here makes kratom grow tall and strong with unique cell wall density and set of alkaloids. This leads to stronger and longer lasting effects compared to other types of kratom. Who is Green Malay For? You can take advantage of green malay in different ways. Green malay is perfect when you must get stuff done but can’t because of pain. It also improves your mood and mental energy so you can complete your chores with a smile. Both beginners and novice user will find green malay kratom useful. It’s good for treating depression, anxiety, and ADD. Potency and long lasting experiences are the hallmarks of green malay, but there’s much more to it. The dark green oval shaped leaves produce effects that last up to 8 hours. This is an incredible lifespan for kratom. And that’s one reason why users come back for more. Green malay is one of the, if not the strongest green vein. It shares the spotlight with green thai kratom strains. Green malay can also enhance your immune system and protect your cells from damage. In other words, green malay fights cancer and helps your system combat the aging effects of a stressful modern life. Put green malay in a place you often look at so you can enjoy the other benefits of this truly fine herb. Compared to other green veins such as Riau and Borneo, green malay is a smoother, stimulating kratom that’s simultaneously a painkiller and mood enhancer. It does this in a balanced manner. You’ll most likely come back for more once you find the perfect dose for you. Unlike other strains that are great painkillers but also sometimes too sedative, green malay offers energy instead of sedation. Great when you need pain relief and more energy to seize the day. This is possible because kratom can enhance blood flow in your brain and other parts of your body. Should You Take Green Malay? People who suffer from, migraines, osteoporosis, or arthritis, will love green malay. If you’re feeling low and have poor concentration, it’ll work for you, too. Since it’s not overly sedating you can use green malay in your daily life. I think everyone who likes kratom should at least try it once because of the potency and lifespan. When you decide to try green malay you should not take more than 8-10 grams in one day. If you aren’t careful it can cause some unpleasant side effects. Poor focus and light brain fog are common side effects I’ve found out, especially if it’s mixed with sugar for maximum absorption. Water helps. Other than that, green malay kratom is safe if you stick with a moderate dose. How much Green Malay Kratom to Take? A good dosage sits between 2-4 grams, but other users will say 2-6 grams. It depends on your own biochemistry, tolerance, and body mass. If you’re new to kratom you can get away with only 1.5 grams. You should eat before you take green malay and wait 1 hour before you consume it to avoid nausea and other unpleasant feelings. At least don’t take more than 2 grams if you take it on an empty stomach. Green malay kratom can kill pain and enhance your mood and energy. This makes it useful for everyday use and when you need to get stuff done. Pain will no longer be an issue. It works just as well at home and work and school. Green veins are known for producing balanced effects and green malay has proven that to be right. I need kratom to help me with coming off of methadone? Any suggestions? Also why should I trust any of these sites when the DEA and other higher authority has band it? Very simple when considering everything good this earth has to offer. If it offers benefits better than a pharma prescription it will cut into their profits. But what does that have to do with the DEA and FDA? Follow the money. These government organizations are lobbied heavily by big pharma. That’s why prescription drugs that can and still do harm or even kill thousands are still sold and considered safe. Greed is a huge motivator. Kratom Crazy been using them for years. I take green Malay. I used to be on 149 MG of methadone per day and haven’t used opiates in over 4 years. Best of luck to you I know exactly how hard it is.